Disney. It’s NOT just for kids. So, the kids are grown and the two of you adults are looking for a different kind of getaway…….how about DISNEY? Disney is not only for the young, it’s for the young at heart. If you loved the Disney Parks WITH kids, why not try them again now that it’s just the two of you as adults? May I suggest a long weekend where you might enjoy among other things, Star Wars Weekends in May & June 2012, Epcot International Flower and Garden Festival, March 7- May 20, 2012, or Epcot International Food & Wine Festival, September 28-November 11, 2012? Enjoy the parks as you never have before. 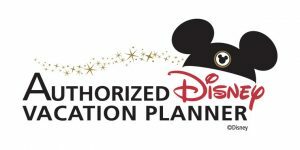 MickeyTravels is very excited and proud to announce that we have been designated by Disney Destinations as an “Authorized Disney Vacation Planner” based on our strong support in selling Disney vacations! MickeyTravels has gained specialized knowledge on vacations to the Disneyland® Resort, Walt Disney World® Resort, Disney Cruise Line® and Adventures by Disney vacations and is one of a select group of travel agencies nationwide certified in planning vacations to these destinations.